If you want to join in on the Elf On The Shelf game, here is a great deal. 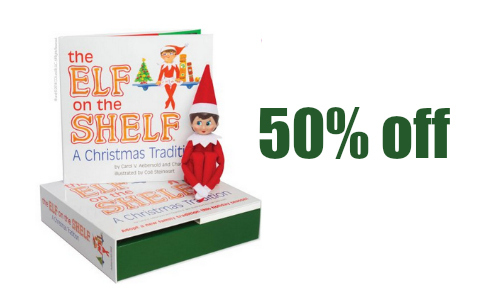 Elf On The Shelf is 50% off, making it $14.98. We usually will not see it for less for. The set includes the Elf and book. Items are limited. Shipping is FREE on orders $50+ or get free in-store pick-up.